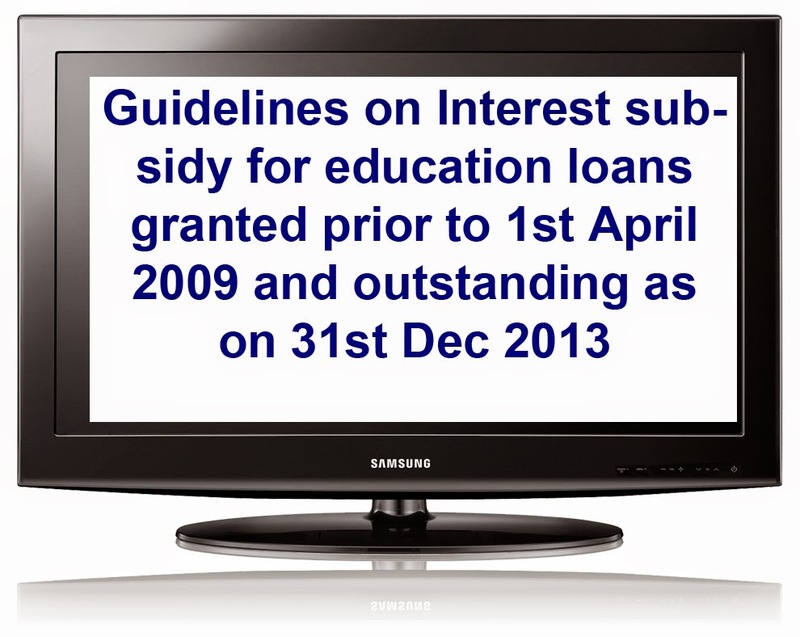 Canara Bank, Nodal bank for interest subsidy has now released the guidelines officially to claim the interest subsidy on the education loans granted prior to 1st April 2009 and outstanding as on 31st Dec 2013. The guidelines can be downloaded from the link. Updated on 15th April 2014: Election Commission has now announced that no bank should make publicity of interest subsidy scheme due to the General Elections and not to disburse the interest subsidy till the completion of elections. However the eligible students are advised by ELTF to get in touch with the concerned Bank Manager for further instructions.